To get started on the The Football Fan’s Diet, the first thing you need to do is pick a Daily Gameday Objective (DGO). When you achieve your DGO, you score a touch down. Yes. It is that easy. If you reach your goal that day, you get a touchdown (note: we give you the extra point). At the end of a week, if you outscore your unhealthy version of you, you get a Win. Football is all about winning and so is dieting. At the end of the week, you get a “W” when you outscore your unhealthy you. At the end of the week, if you give up more points than you earned, you get a Loss for the week. 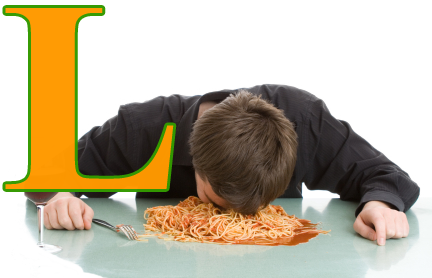 If you gave up more points in the week, then you scored, well, you get an L for the week. Still, no worries. You have next week to get back on the right path to victory. Make a spreadsheet, or use a calendar, to keep track of your Wins and Losses for an entire season. Off-season/OTAs - This can be if you just want to ramp up a few weeks and play around. The wins and losses don’t really count. The idea is experiment with what works and what does not. Preseason - You have a DGO and now you must stick to it. Your record doesn’t matter, but it should indicate to you how much work you need to do. Additionally, the preseason is a good time to see what your record was and compare that to what your health goals are for the whole season. Did your preseason help you advance to get there? Does your record reflect the progress or lack of it that you made? For example, if you went 4-1 and didn’t lose any weight, then your Daily Gameday Objective was likely too easy. Adjust it to reflect the success you want, while also being something within your grasp to do. Regular Season (must have a winning record to advance) - Once in the regular season, Ws and Ls matter. You must have a winning record to advance to the playoffs. If not, you are eliminated from playoff contention soon as you ensure a losing record. No worries. Start over. Rename your next season and give it a go. Post Season (one loss and you are done) - If you have a winning record, you can advance to the post season. You can optionally make your DGO a bit tougher, but the playoffs is already tough because it is one loss and done. If you loose on a week during the playoffs, your season is offer, and time to start over. Super Bowl of Health - If you make the Super Bowl of Health, try to make it even more difficult somehow. Turn the dial up on the difficulty of your Daily Gameday Objective. Maybe I make it so my calories are even harder to do. Note: As I mentioned, feel free to make each phase of the season a little more difficult. For example, during “preseason” my DGO could be about eating within an intermittent fasting 4 hour window. However, in the regular season, I could make that more difficult by stipulating that I must not only eat within that 4 hour window but it must not contain any fried food or high carb food items. It’s up too you. So now that you have an idea of how the Football Fan’s Diet works, you need to spend a few minutes to come up with a Daily Gameday Objective. Your DGO will be the key to unlocking your full health potential. So go to the next section to learn more about the Daily Gameday Objective.